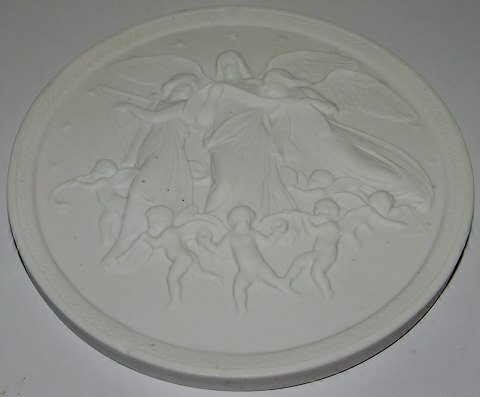 Royal Copenhagen Bisque Plate Christmas Joy in Heaven #111. Copy from 1843 by N.G.Henriksen after Thorvaldsens original from Rom 1836. Measures 15,3cm. Has a chip 12 and 7 oclock. Otherwise in good condition.